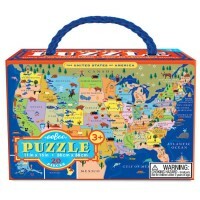 Learn US states, capitals, landmarks, industries, and interesting facts about our country with this artistic USA pictorial map wall poster by Eeboo. 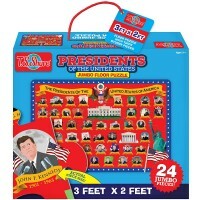 This Land Is Your Land - that's the series of educational products about the US geography from the Eeboo artistic toy company. Eeboo! 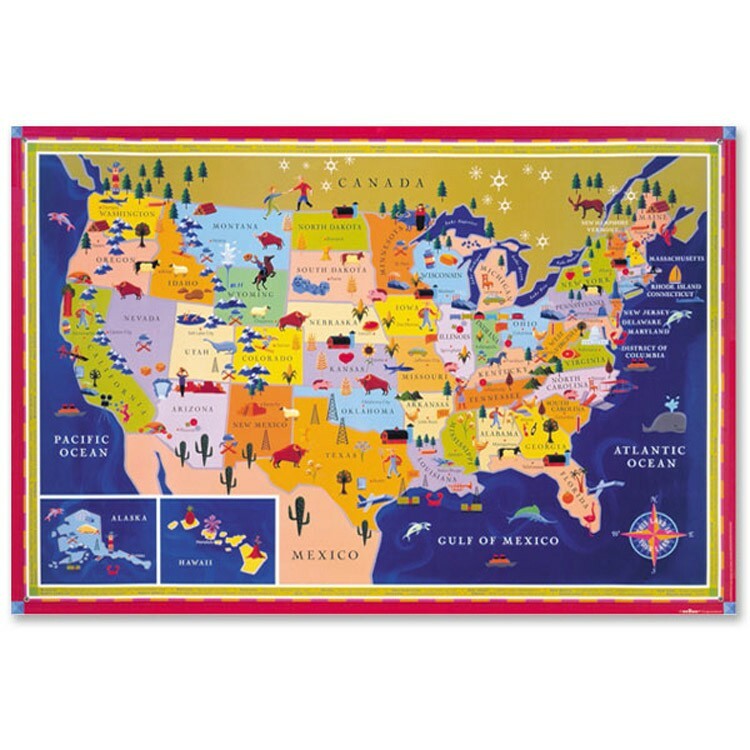 USA Map Wall Poster for Kids will look terrific in you child's room or classroom. This kids US map poster presents the beautiful illustrations to remember the location of the products, industries, and special features of all 50 states. 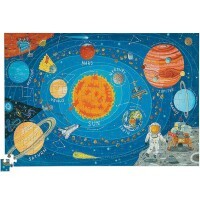 This map of the USA kids wall poster from Educational Toys Planet is a great way to introduce geography for your children. 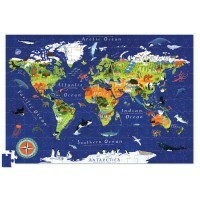 The USA Map Wall Poster for Kids measures 23.5 x 35 inches. 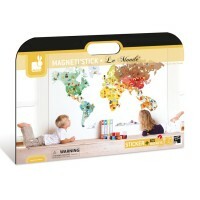 The US map poster is film laminated on both sides and features reinforced corners for easy hanging. 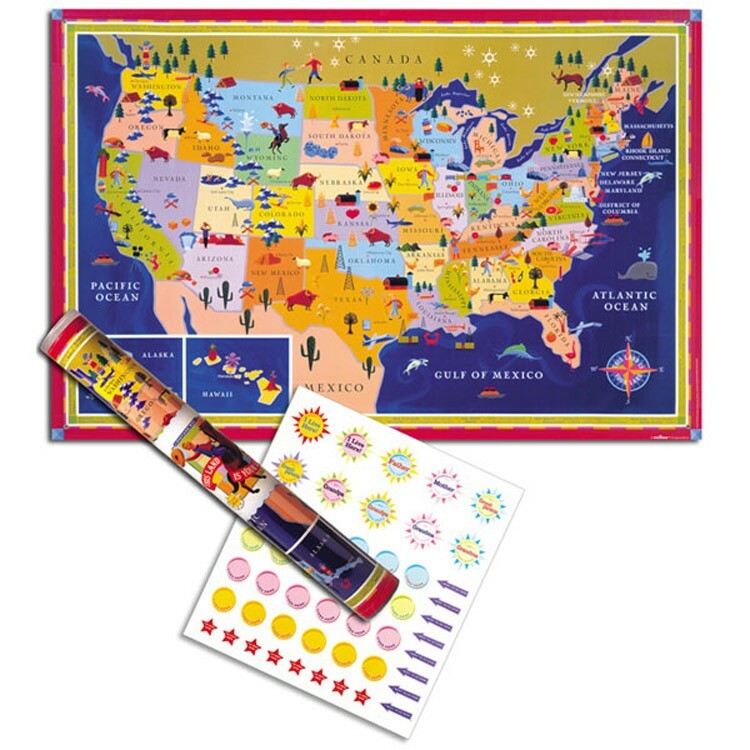 This colorful USA map poster set comes with the sheet of stickers to mark the places where family and friends live, or favorite vacation spots, or important locations. 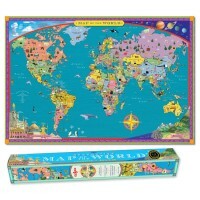 USA Map Wall Poster for Kids is neatly packed in a sturdy cardboard box. 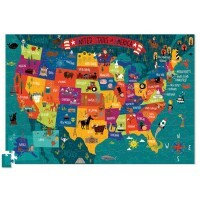 Dimensions of package 3.94" x 1.02" x 2.52"
Write your own review of USA Map Wall Poster for Kids.